Houston is the biggest city in state of Texas, and fourth-largest city in the U.S. with a population of 2.1 million people and an area of 656.3 square miles. The city has the third highest skyline in North America, and one of the ten highest in the world with a 305-meter skyscraper JPMorgan Chase Tower. 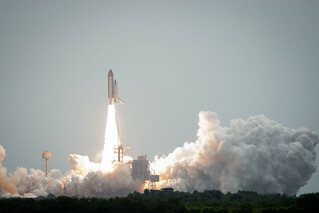 Many corporations of the Fortune 500 have their headquarters here, as well as numerous research institutions and NASA's Johnson Space Center, with its Mission Control Center Space. It is a global city with a large international community. Its inhabitants represent different ethnic and religious groups. The whole cultural mix makes it easy to get to know the friendly and very interesting people, so Houston is actually an ideal place for dating. Here are some suggestions for an interesting date in Houston. Dating in Houston is easy if you are a devotee of the theater. The local theaters can compete with those from New York's Broadway. 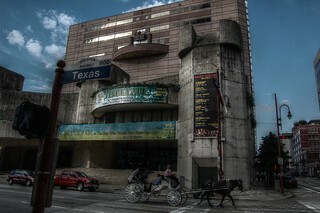 Houston's Theater District, located in the heart of downtown, is the second in the country after New York, in terms of the number of available seats. In addition to theaters such as the Alley Theatre, The Ensemble Theatre and the Talento Bilingue de Houston, you will also appreciate Houston Grand Opera, Houston Ballet, and Houston Symphony Orchestra. To fully appreciate the cultural character of the city you should go to one of the numerous museums located here (within about a two mile radius) that form up the Houston Museum District. It is composed of 19 museums, including The Museum of Fine Arts, Houston Museum of Natural Science, and the Contemporary Arts Museum Houston, to name just a few. It is worth mentioning also that all museums offer free admission days and 12 of them are free at all. The city hosts many cultural events that promote multiculturalism. One of he largest and oldest events held in Houston is the Houston Livestock Show and Rodeo, which lasts for 20 days in February and March, every year. It is considered the largest rodeo in the whole world. Other notable event taking place in Houston is certainly Bayou City Art Festival – one of the largest art festivals held in the United States. In 2005 USA Today identified Houston as the "dining-out capital of America". Houstonians love to eat outside home more than the other inhabitants of the country. Multinationality and multicultural character made significant sign on the city and was not without influence on his culinary spirit. Therefore it shouldn't be surprising that there is a multitude of restaurants serving delicious food from different regions of the world that are great for dating in Houston. There are plenty of excellent restaurants serving Italian (Bambolino's, Carrabba's Italian Grill), Oriental (Kim Son, Mai's), Greek (Niko Niko's, Theo's) food. The most popular among the residents of the city is Mexican cuisine, especially its variant that combines aspects of Texan cuisine known as Tex-Mex. If you are this type of food lovers, you should definitely visit Ninfa's, Torchy's Tacos, or Chuy's. If you feel like having a drink you should go to the Nouveau Antique Art Bar, which combines the styles of Art Nouveau with a neighborhood pub atmosphere. It is a perfect place for a while of conversation with a good, not too loud music in the background. Coffee lovers can visit the Double Trouble. They certainly know what a good coffee means. Cappuccino and espresso served here are simply unbelievable. The restaurant offers a wide selection of drinks and beers, too. Dating in Houston can be deliciously amazing! Official nickname for Houston is, not surprisingly, Space City. This is a place where NASA's Lyndon B. Johnson Space Center has its office. If you are interested in science, the universe, or simply have a desire to get closer to the stars it is the right place for you. You should see the Starship Gallery – an exhibition dedicated to American cosmic program. If you want to feel what the astronauts experience during take-off of space shuttle you should go to Blast Off, where you will see about a 30 minute video showing a space shuttle launch. High-quality special effects allow you to feel like you were there. The NASA Tram Tour showing the training of astronauts, space robots, and the development of space science missions to name a few is also worth mentioning. Who knows, maybe you'll find out whether men really are from Mars and women from Venus.